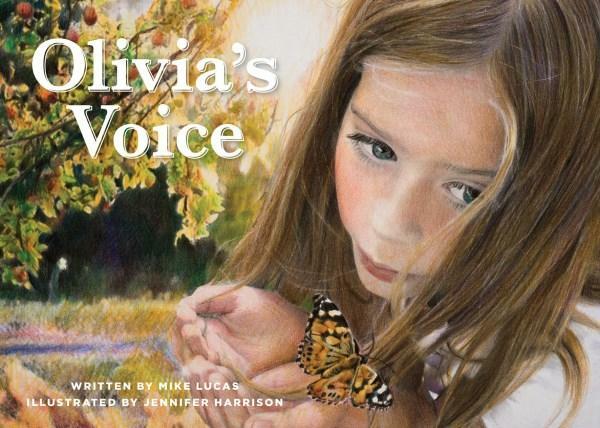 Olivia’s Voice is a beautiful combination of photo-realistic art accompanied by simple storytelling to describe one day in the life of a young and obviously happy girl named Olivia. It is clear she is happy because her face radiates an enthusiasm and inwardly happy nature that shines through in all the outstanding illustrations. The brief story line describes her daily activities and interaction with her mother, her friends and her music teacher. Her life appears normal, but the reader knows that all is not as it seems: Olivia is not like many of her friends. So, what’s the catch? No, I’m not giving that one away to spoil the end of the story or indeed the reader’s careful unravelling of the plot by observations, which eventually lead to the answer. There is also the warm feeling you will get reading Olivia’s Voice. This book shows children accepting differences between each other and within oneself through simple observation and acceptance. Did I mention that Olivia plays the drum? She does but that is only another small clue. This book is suitable for readers over the age of six years. The superb illustrations are created using crayons are photo-realistic which is why this book is marketed as a children’s picture book.